We provide a complete maintenance service to give customers a one stop solution to maintaining their life and fire safety installations. From individual site visits twice per year through to managing the maintenance on a portfolio of properties to take the strain off your business, we can tailor a package specific to your needs. From small conventional systems in shops and HMO’s through to multi-panel networks in shopping centres and industrial complexes we offer a maintenance and 24 hour callout package to ensure your fire alarm system remains fault-free and protecting your premises giving you complete peace of mind. All packages are tailored to individual sites and we only charge for the equipment you have ensuring excellent value for money. We currently maintain sites across East Anglia including Cambridge, Ipswich, Colchester, Braintree, Chelmsford, Norwich and Bury St Edmunds so you can be sure an engineer is never far away. Emergency lighting should be checked twice annually for operation in the event of a power failure of up to 3 hours duration. 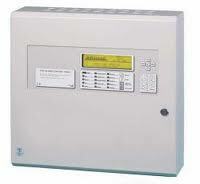 We carry this out as part of the package when maintaining fire alarms and extinguishers saving you money. Our engineers carry a stock of consumables including battery packs to ensure your emergency lighting remains fully functional and will operate should you need it. 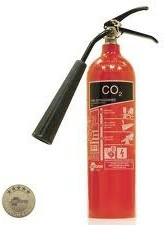 Crucial to protecting your property fire extinguishers should be maintained annually and have an extended service including refill every 5 years. We can offer packages tailored to your site including inclusive packages where you will only receive a fixed bill irrespective of any refills or replacement parts that may be required.